In the grandest of all mistakes, our charter went to the wrong marina all the way up near Sandy Hook. We were scheduled to leave the dock at 4am to beat out the storm. We eventually left without them, just Randy and I, and ended up experiencing some of the best Bassing of the year. We limited out and were back at the dock pretty fast. 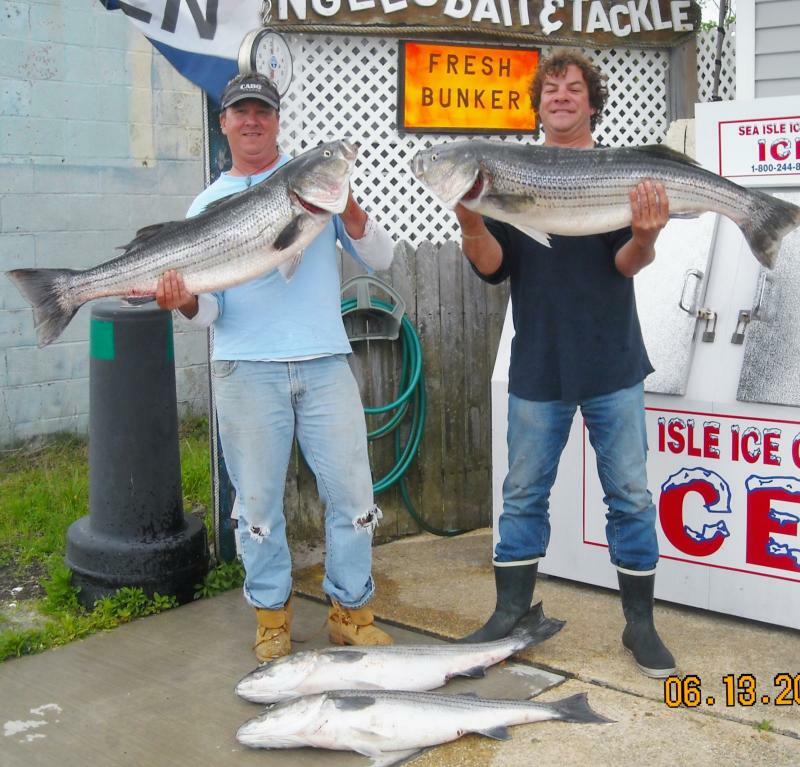 We weighed in the fish in Beach Haven at Jingles Bait and Tackle.